My first introduction to Mangrove came through their double live album 'Coming Back to Live' in 2006, and I was mostly impressed with their later and more complex songs compared to their earlier and more atmospheric songs, and thankfully they have chosen the road they went down on 'Facing the Sunset' on this one as well; 'Beyond Reality', where Mangrove really is coming alive and showing their true colours. Their roots still lays solidly founded in the British 70's prog scene and main source of inspiration is still Genesis with bands like Camel and Pink Floyd also in the mix, and everything has nicely been incorporated into their own style and sound. Once the album has gotten under your skin, it stays there and draws you into a wonderful and versatile sound universe that is well defined and emotional. 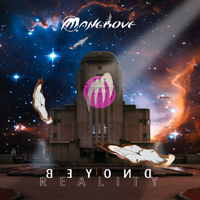 Mangrove has written six very mature, passionate and well crafted small progressive masterpieces and I can only recommend this one to lover's of classic prog rock.